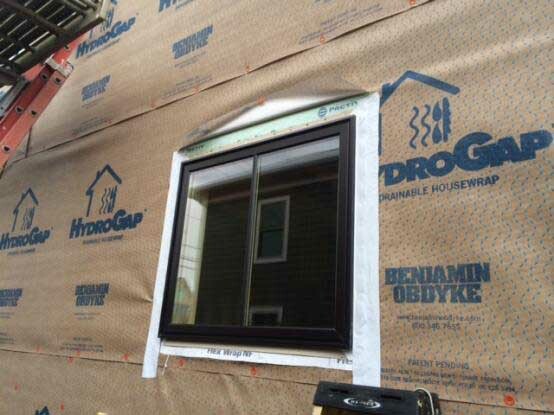 Hydro Gap Drainable Housewrap™ is the newest moisture management product from Benjamin Obdyke. This product allows construction professionals to Build Better™ by effectively eliminating excess moisture, thereby preventing the damaging effects of mold and rot. Its patent-pending one millimeter spacers allow at least 100X more bulk water to drain from a wall versus standard housewraps. Allows moisture to escape quickly before it damages the sidewall materials. Protects the wall assembly from the deteriorating effects of mold and rot. Low-profile spacer allows for efficient drainage without installation or design changes. Saves time and labor costs by reducing need for taping and cap-fasteners. Patent-pending 1mm spacers create a true drainage gap. Removes over 100X more bulk water from a wall versus standard housewraps. Drains at least 2X faster than other drainable housewraps. Tri-laminate, nonwoven housewrap provides superior strength and water hold-out. 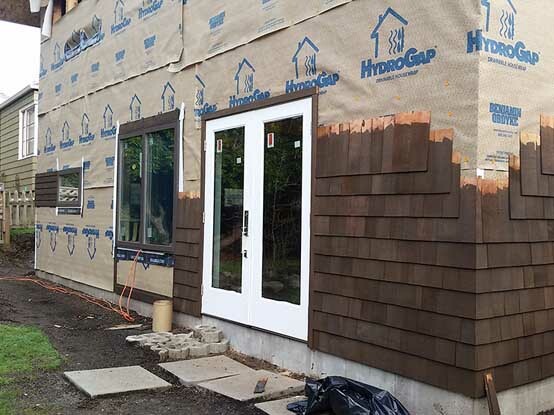 Performs optimally under fiber cement, wood, vinyl, 3-coat stucco, stone veneer/manufactured stone, metal sidings. Can be installed in any direction without affecting drainability. Request your free Benjamin Obdyke Hydro Gap sample today!